An injury-ravaged Herston side made the considerable trek out to Logan last Sunday morning, to take part in the third Hatchets vs Phoenix GRUDGE MATCH this season. Despite missing several important players, and struggling with the two-day turnaround since their emotional win over QUT on Friday night, much was still expected of Demidenok’s Disciples. This is a legitimate haircut you can ask for in Logan. Although the squad was similar to the game on Friday night, there were a few key changes. Pacey winger Sam Shum failed a late fitness test and was ruled out with a hamstring strain, in what would have been his farewell appearance before a loan stint overseas. Hatchets fans will be hoping that he returns in time for the finals. Bing Lee also dropped out of the side, along with Tom Souchen and Drew Williams. In came creative threat and self-proclaimed best FIFA player on the team, Sonesh Amin, with Naz Wahab pulling on the prestigious number 1 jersey in goals. 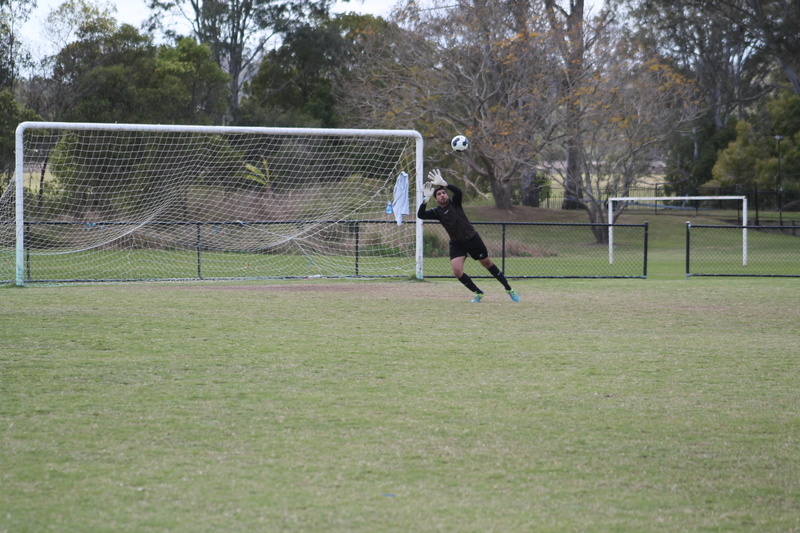 Naz Wahab saves a long-range effort. 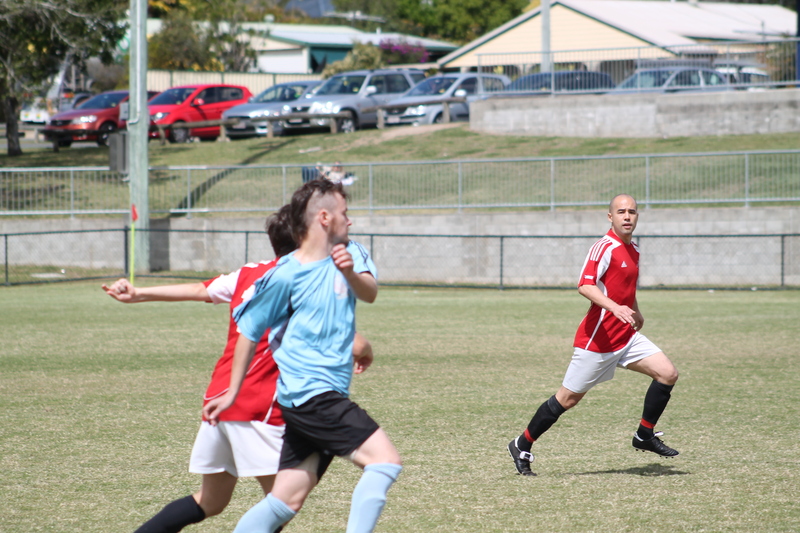 The Phoenix have become known for their brutal approach to the game of football, and this match was to be no exception. Almost from the opening whistle, which was accompanied by exuberant grunting and high-pitched shrieking from the on-looking locals, rough tackles began flying in towards the soft and warm Hatchets bodies. It is to Herston’s credit that they were able to stick to the game-plan and play some patient football, passing the ball around the pitch quite well. In contrast, the entire philosophy of the Phoenix side was to give the ball to a certain defender, presumably the alpha male of their troop, who would then proceed to kick the ball as far as he could in a primitive display of strength. To hoots of delight from the restless natives, he occasionally managed to pull off a 40-20. Oh look, another long ball. 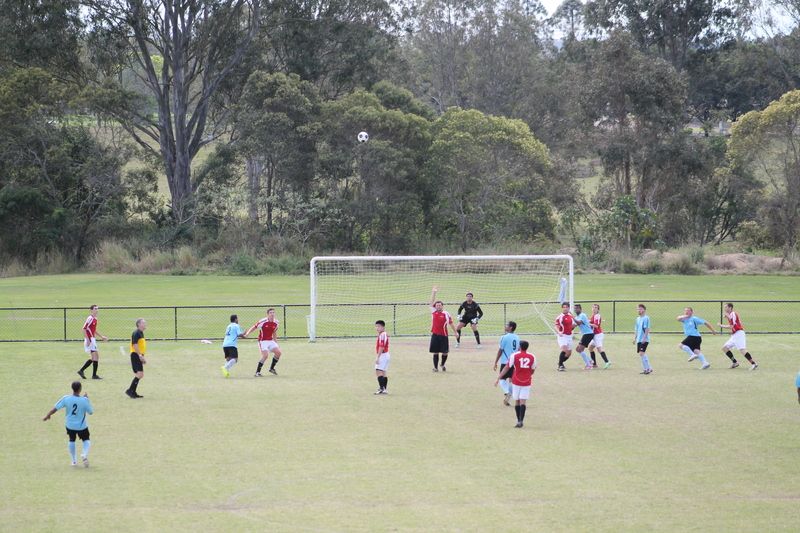 Although the first half was goalless, both sides had good chances to score. Naz Wahab pulled off a great save from a Phoenix shot from inside the 18-yard box, which even drew compliments from his fellow gloveman Drew Williams on the sidelines. Up the other end, perennially injured midfielder Nick Boyer had a strike from the edge of the area saved, before Sonesh Amin hit the crossbar with a long-range effort. Boyer sees his shot saved. Towards the end of the first half, the Hatchets had been building momentum, and they were able to turn this into some real dominance in the second half. A procession of chances were created, but none of them were finished off. A typically agricultural Phoenix challenge. 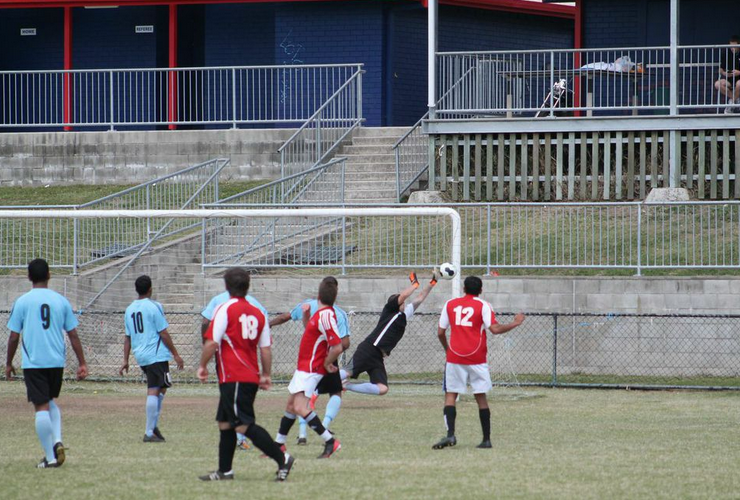 Jon-Mark Lane made the crossbar rattle for the second time this game, but the ball bounced clear once more. 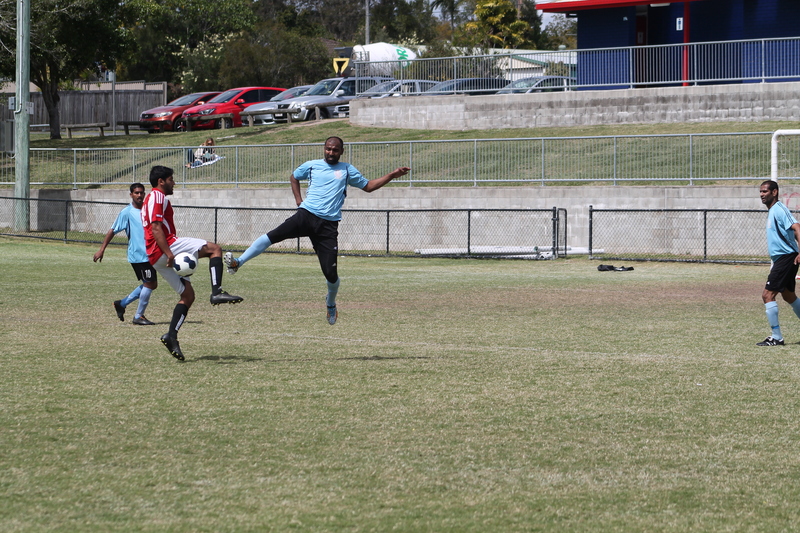 Simon ‘the Webmaster’ Bennet narrowly missed getting his head to a Michael Alim free-kick with the goal gaping. Sonesh Amin had a one-on-one chance saved smartly by the impressive Naita goalkeeper, who also got down well to deny Adam Irelandes. In the final minute, Lane almost pulled off an amazing goal, taking advantage of the distraction afforded by a passing police car to dribble past four defenders before having his shot blocked. Bennet has a chance to score. It was simply not meant to be for the Hatchets. The final score of 0-0 certainly flattered the home side, however Herston will take solace in the fact that this is their second clean sheet in succession (widely believed to be a club record). Naita will be simply delighted with the result that all-but-ensures they will finish top of the ladder this season. 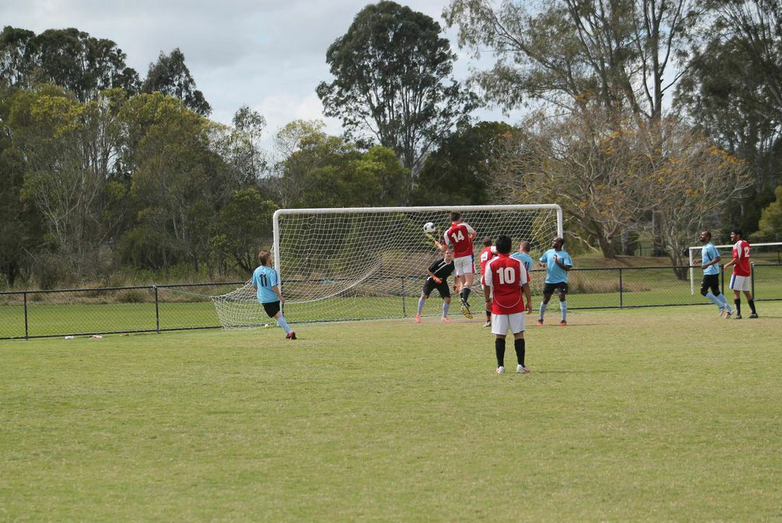 The Hatchets will now be focused on securing second spot and a home final against QUT. 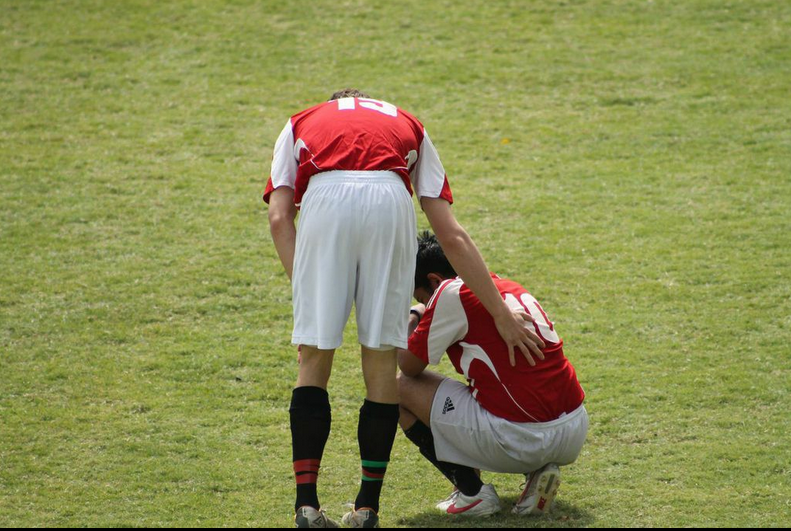 Darius Ashrafi is comforted by Scott Klass after the heart-breaking draw. The next match for our brave warriors in red takes place this Sunday morning against Gustav Hurricanes. Words by Simon Bennet. Photos by Drew Williams.